The neurological disorder Huntington's disease causes behavioural and motor changes, which among other things are a result of dysfunctional maturation or formation of glial cells, the brain's support cells, researchers from the University of Copenhagen demonstrate in a new study based on mouse trials. The researchers' long-term goal is to be able to use the research results to develop a treatment for Huntington's disease using glial cells. The brain's support cells, the so-called glial cells, play a main role in the development of the genetic brain disorder Huntington's disease, for which there is currently no treatment. In a new study, an international group of researchers from the Faculty of Health and Medical Sciences at the University of Copenhagen, among others, has now mapped important, hitherto unknown mechanisms in glial cells in a brain suffering from Huntington's disease. The new research results have been published in the prestigious journal Cell Stem Cell. "In the study we show that glial cell maturation is severely impaired in patients with Huntington's disease, and this is a major contributor to the abnormalities we see in the brain. This leads to behavioural changes as well as to changes in motor function. The failure of glial maturation causes many of these symptoms, because diseased glial cells cannot support normal neuronal and synaptic function; this means that the communication between neurons is impaired," says the last author of the study, Professor Steve Goldman from the Center for Neuroscience at the University of Copenhagen and the Center for Translational Neuromedicine at University of Rochester. Huntington's disease is the result of a mutation in a gene—the Huntingtin gene—which codes for a protein that, when mutated, causes the disease. Among other things, Huntington's disease leads to personality changes and a loss in motor coordination. There is currently no treatment that can cure or even slow the disease; at best, physicians can only offer medicines that can alleviate some of its symptoms. The overall goal of Steve Goldman and his research group is to find a meaningful, disease-modifying treatment for the disease. They have been researching glial cells and degenerative diseases in the brain, including Huntington's disease, for a number of years, and in this study they set out to determine what happens to glial cells at the molecular level in the Huntington's disease brain. To do so the researchers studied mice into which they had transplanted human glial progenitor cells containing the Huntington gene. These glial progenitor cells are precursors to mature glial cells, and were derived from pluripotent stem cells, using methods that the researchers developed for producing glial cells from stem cells. These mice with human glia enabled the researchers to study the development of Huntington disease-derived glial cells. The researchers learned that the maturation of the glia was delayed and imperfect. Among other things, this led to dysfunctional astrocytes, the most common type of glia in the brain, which among other things regulate the communication between neurons. This poor glial maturation also led to a lack of myelin, the insulating fat that surround the nerve pathways in the brain, and which normally allows and speeds neural communication. The result was a failure of the brain's white matter in these humanized mouse models of Huntington disease, with its consequent effects on behaviour and motor skills. 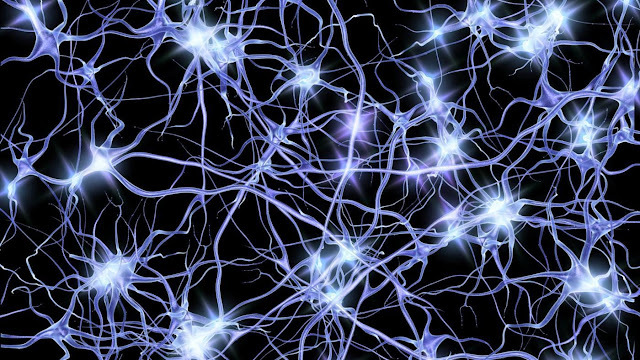 Goldman argues that glial cells are not only important in connection with Huntington's disease, but also appear to play a main role in several other neurodegenerative and neuropsychiatric diseases, such as schizophrenia. "This failure of glial cell maturation appears to be a common element of diseases that involve behavioural abnormalities and psychotic thinking. The unsuccessful glial cell maturation we saw in Huntington's disease is very similar to what we saw in one of our previous studies, where we studied the role of glial cells in schizophrenia. At the same time, our study stresses the potential of glial cell therapy as a possible treatment for Huntington's disease and other similar neurodegenerative diseases," Goldman explains. Goldman and his colleagues have previously worked with glial cell transplantation, as described in a study from 2016. Here the researchers had transplanted healthy glial cells to mice suffering from Huntington's disease. This prolonged the life expectancy of the mice and alleviated the symptoms of the disease. And one of the next steps for Goldman and his research group is to conduct clinical trials involving transplantation of healthy glial cells to patients with Huntington's disease. They hope to be able to launch these trials within the next couple of years.